The Quick EASyS is a multi-functional, high/low indoor base which can be purchased either as an indoor base or with an EASyS, Snappi or Modular seating system. Unlike many other companies, our seats can be easily removed from their buggy/wheelchair bases and transferred onto the indoor base. This both removes the costly need for two seating systems and encourages family and educational inclusion. 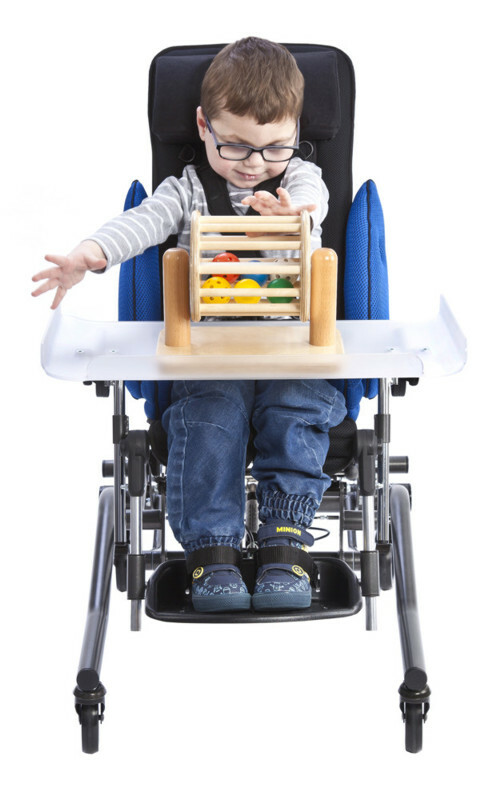 The seat unit can be placed in a variety of positions; from lying completely flat to rearward facing and can be extended from 30cm – 66cm. In addition, the Quick EASyS provides 28°, without pre-set positions, of tilt-in-space. As such the Quick EASyS is readily adaptable in a multitude of situations and can accommodate various table-tops. Both the tilt-in-space facility and the height-adjustment are operated by a simple-to-use foot pedal. The Quick EASyS has a narrow, slimline base to fit effortlessly through standard sized doorways. An optional pushing bar can be fitted to further aid manoeuvrability. The Quick EASyS has a maximum weight capacity (including the seat, occupant and all accessories) of 50kg. You can download the user manual by clicking here. Alternatively, you can visit the manufactuer, Thomas Hilfen's, site here.